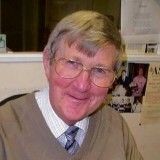 A journalist who worked in a newspaper’s accounts department and became its sports editor has died aged 71. Tributes have been paid to Mervyn Palmer, left, formerly of the Cornish & Devon Post. Mervyn joined the Launceston-based Post’s accounts department in the 1960s and, after a spell at a paper in Tavistock, returned to serve as sports editor. He also wrote a column called Merv’s mentions for the Post. Suzanne Cleave, managing editor of the Post, said: “I think I can speak on behalf of my colleagues, both past and present, when I say how shocked and upset we were to hear of Merv’s death. “Merv was a friendly and caring member of the editorial team, who was popular among all staff. He took a keen interest in people’s lives, not only getting to know them, but also their families. “His routines, such as his morning banana time — announced to the entire office — and his regular diary entries, were missed by everyone when he retired, and they are even more poignant now. Mervyn had become ill over the past few weeks, and died on Saturday morning.